Stir frying is fun. You can take just about any combination of protein and vegetables, toss it in a wok over high heat with some soy sauce and have a decent meal. I like to use a little tangerine juice to give a sweet/tart twist to my stir fry, and, as always, there’s garlic involved! This is my first attempt at cooking tofu. In all fairness, that’s mostly because I’ve never had any desire to cook tofu. I like it enough, but it’s typically nothing more than a meat-free protein alternative when I’m not in the mood for meat (which isn’t all that often). I really had no idea what I was doing when I started making this dish, and I learned as I went along. The results were pretty tasty, and I learned a few things along the way that will make my tofu skills a little better next time. And, yes, that does mean this came out tasty enough that there will be a next time. I mean, really…who wouldn’t be dying to work with this big… block… of… something…? And yet, when it’s seasoned well and cooked right, it’s delicious! The other product in this recipe that was new to me was pink rice. 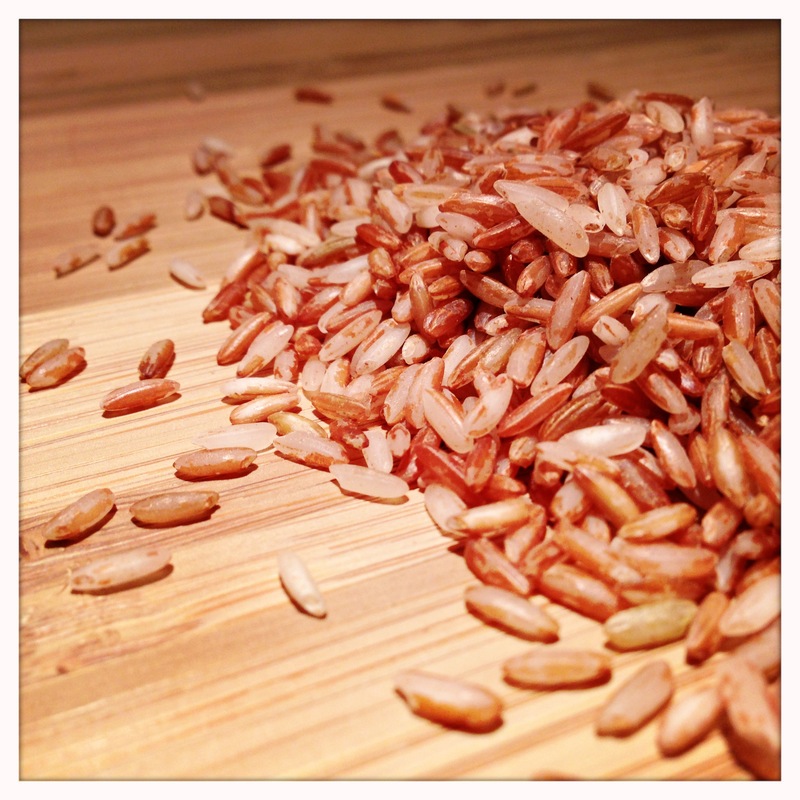 I stumbled upon it when looking for my staple short grain brown rice, which I couldn’t find. It looked interesting, and it cooks in only 20 minutes, which is pretty impressive for a whole grain rice. 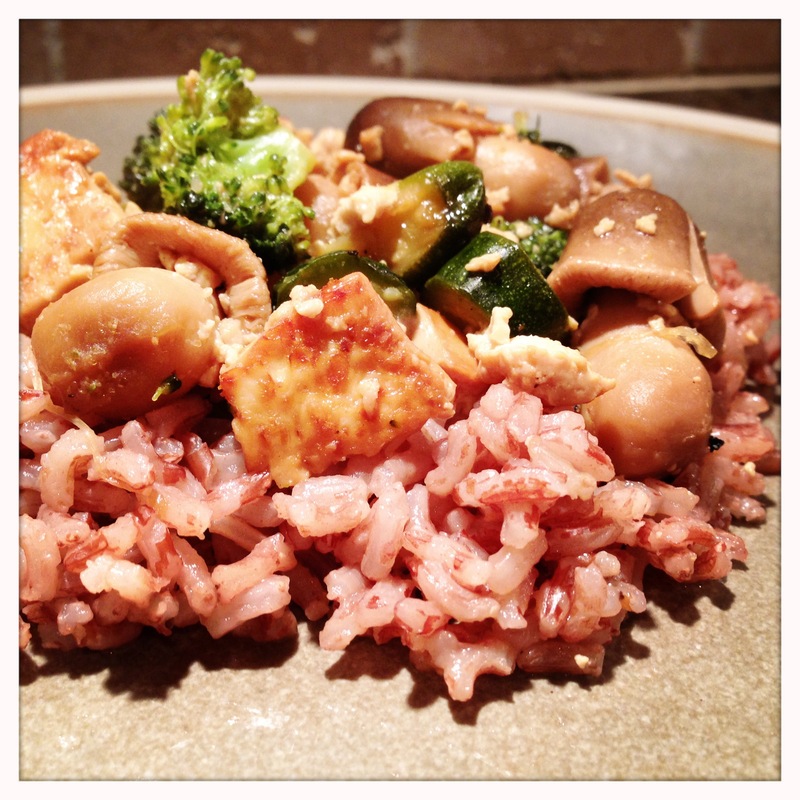 It has a very delicate flavor, a little more satisfying than a white rice, but not quite as “bran-y” as a brown rice. If you can find it, I highly recommend it! I also came across baby zucchinis for the first time when buying veggies for this stir fry. I’m not counting them as a “new” ingredient, as they’re basically just small zucchinis, but I had never seen them before. They’re great to work with, cook very quickly, and have a very mild flavor. 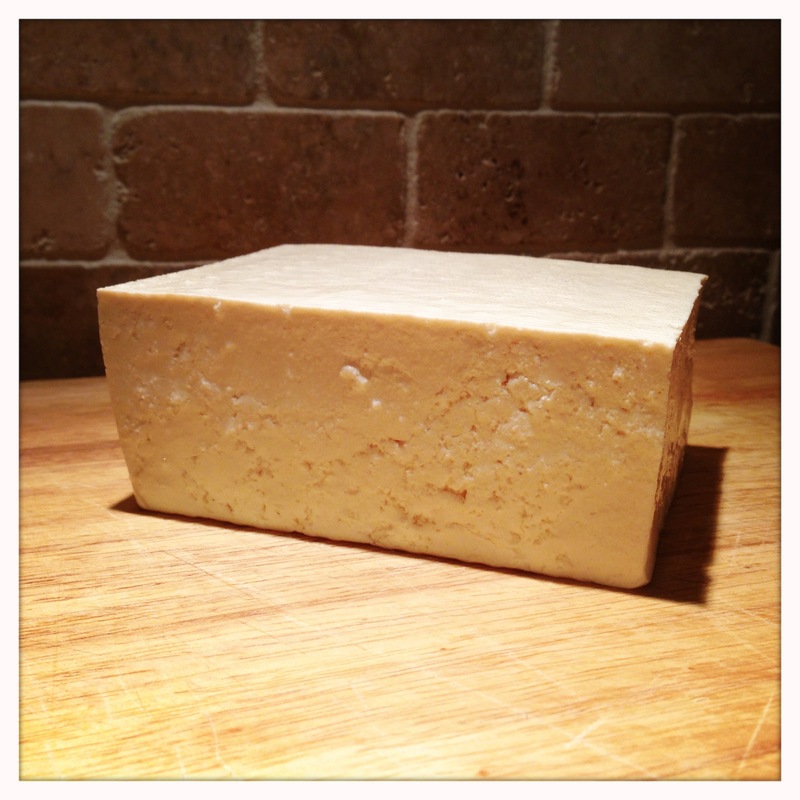 If you’ve never worked with tofu before, you may not know that there’s actually some prep involved prior to cooking. (I sure didn’t prior to a quick google on preparing tofu). As it turns out, it needs to be cubed, pressed and marinated before cooking to get the excess fluid out and put some flavor in. 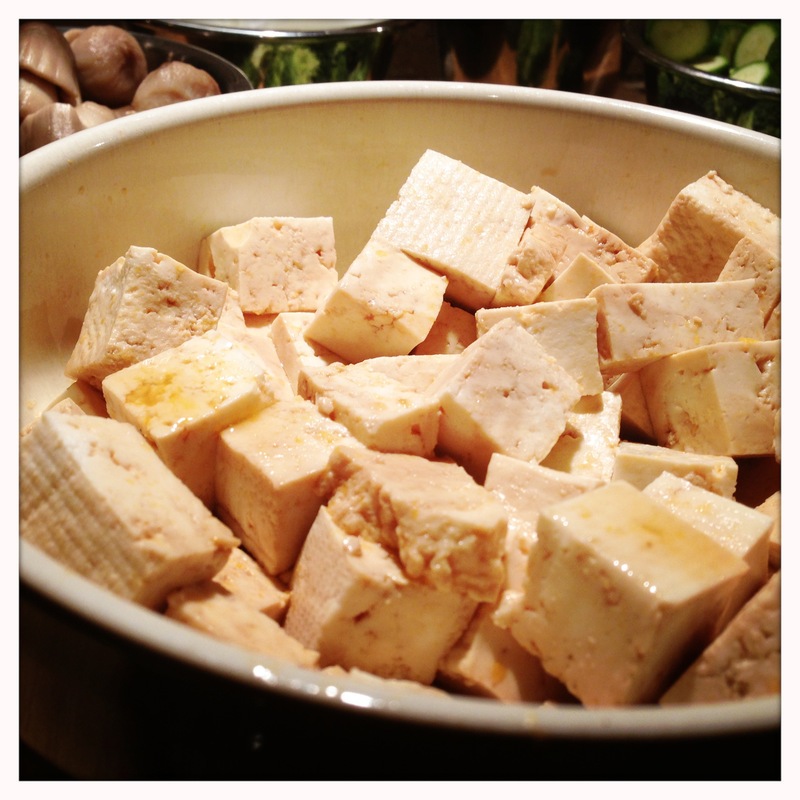 Once the pressing is done, place the tofu cubes in a bowl to marinate them. I covered mine with about a tablespoon of soy sauce and the juice of one of the tangerines, reserving the second tangerine to flavor the stir fry later. 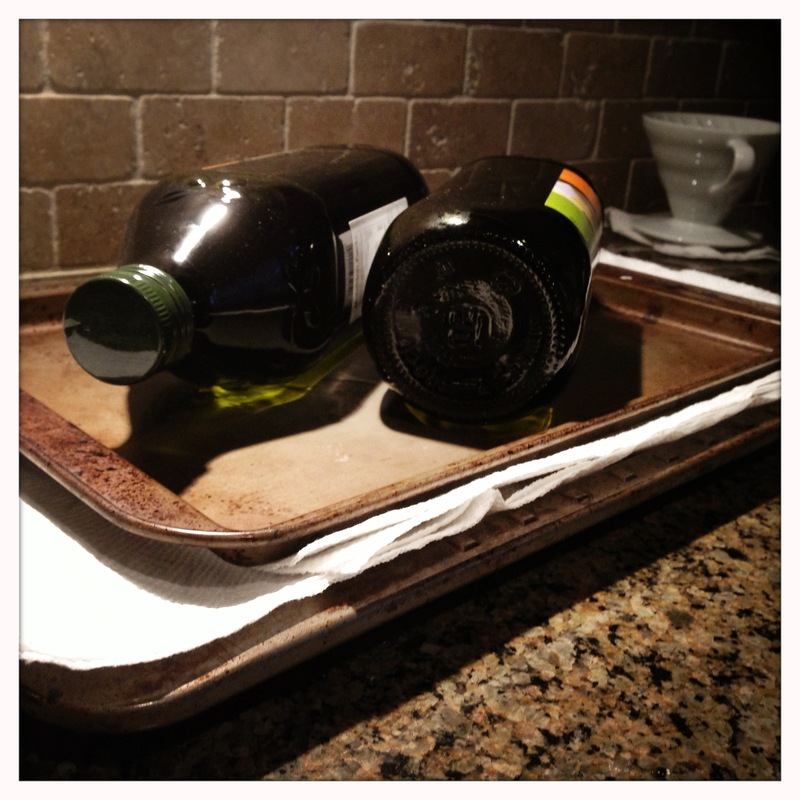 I saw a lot of different suggestions on how long to press and how long to marinate, but since I started reading about all of this an hour before dinner time, I went with twenty minutes of pressing and ten minutes of marinating. May not have been perfect, but it worked pretty well. 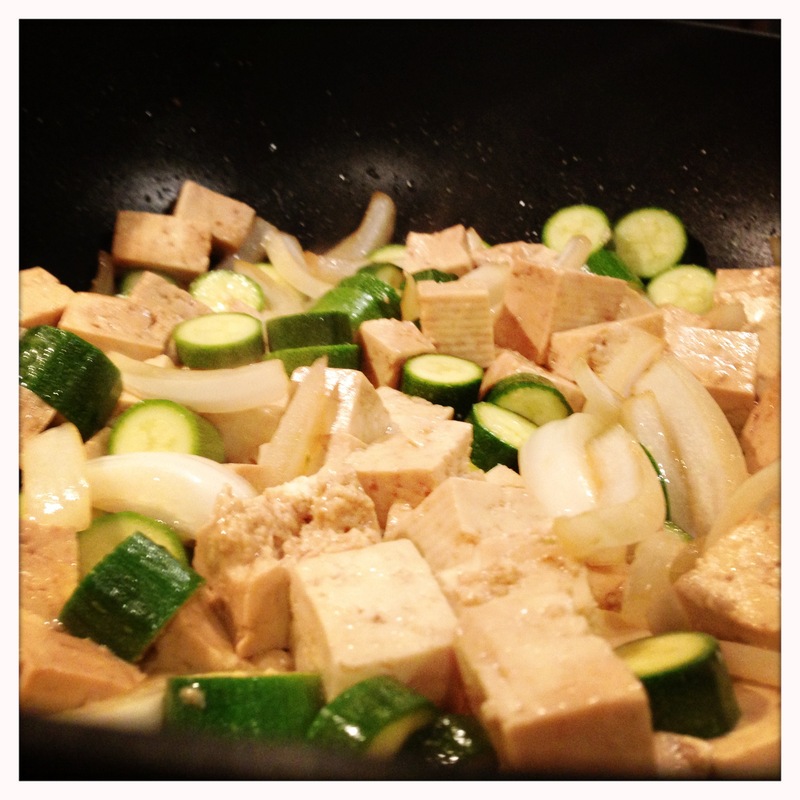 Once all the vegetables are chopped and the tofu is marinated, heat olive oil over a medium-high flame. 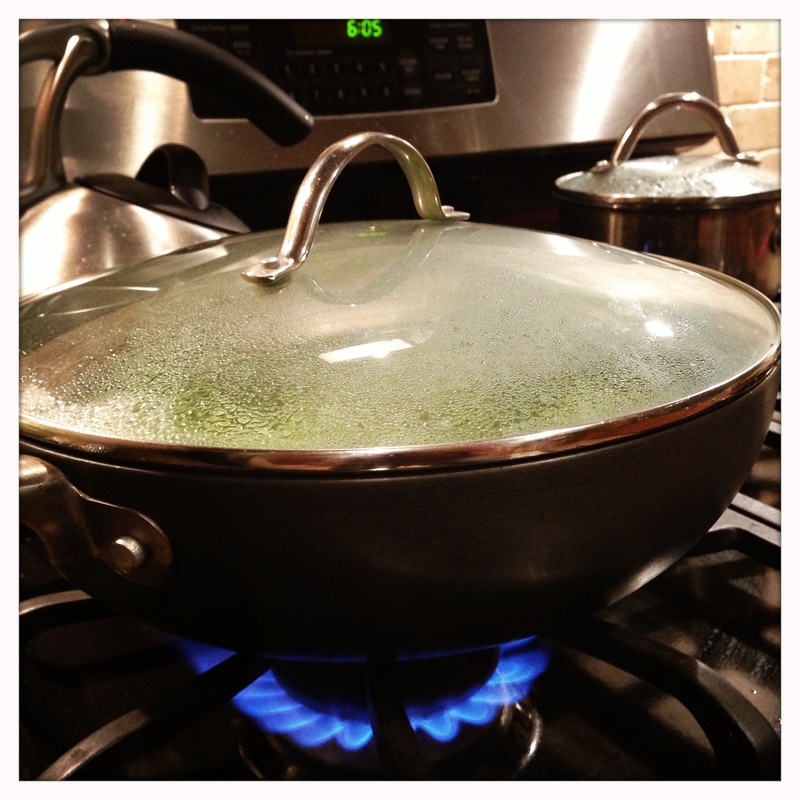 Don’t add anything else to the pan until the oil is good and hot. Then get the tofu into the pan first. 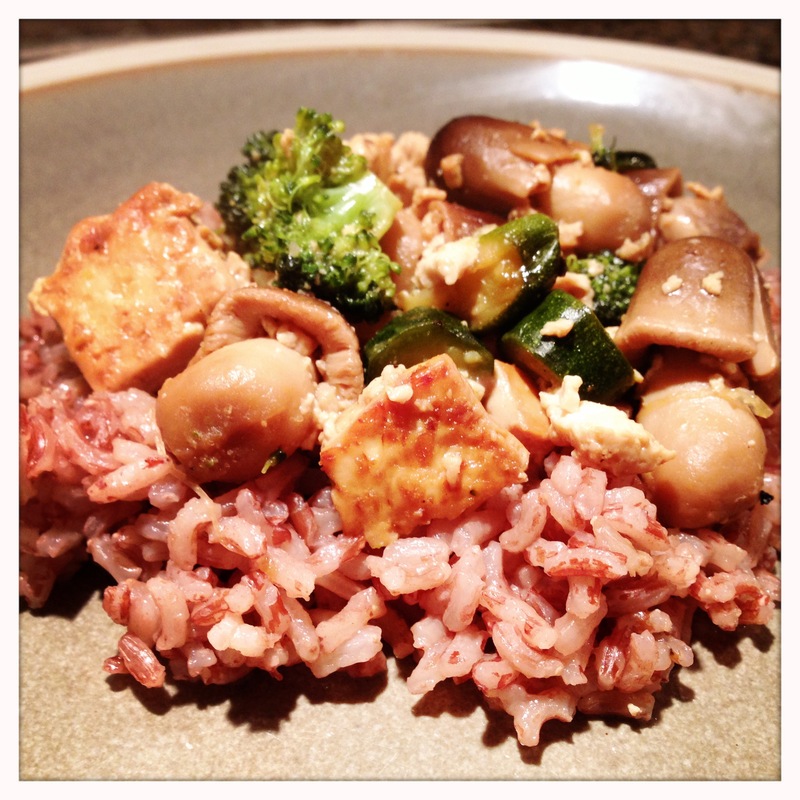 (I did not drain the marinade off the tofu, so my tofu didn’t crisp and fry as much as I would have liked – it was a combination of steaming and frying because of all the water in the soy sauce. Turned out tasty, but not as firm/crispy as I would have liked. I’m pretty sure that draining the marinade would have helped here). Next, get the onions, zucchini and garlic into the pan, and season with some black pepper to taste. (As with all recipes where I use soy sauce, I never season my stir fry with additional salt as the soy sauce is more than salty enough on its own.) Keep in mind when making this type of dish that the word “stir” in stir fry is important. Keep everything moving in the pan. This helps the flavors mingle, and keeps everything in contact with the hot pan as much as possible. 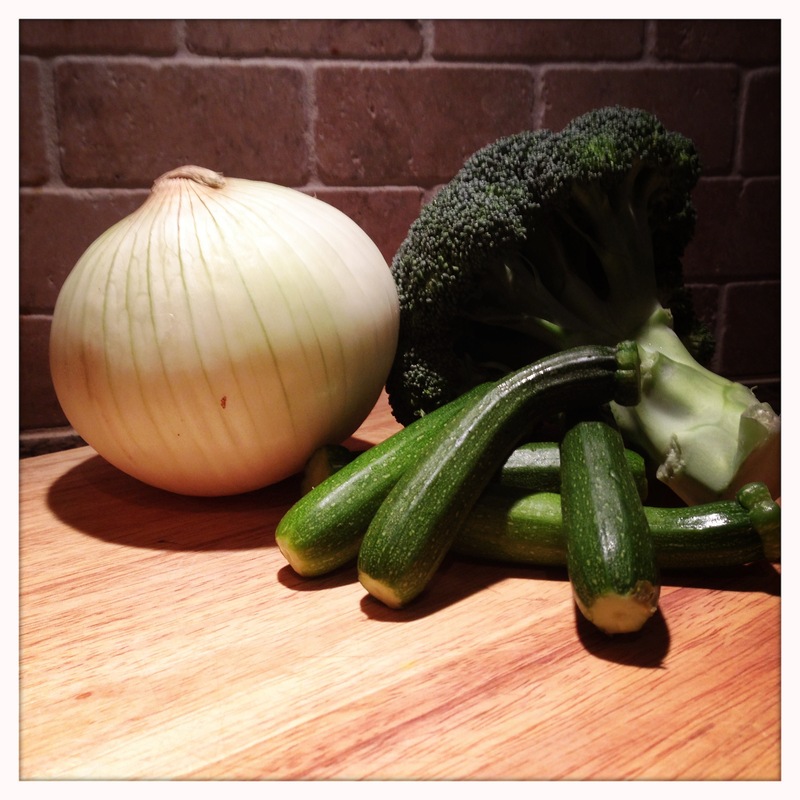 Once the onions and zucchini start to soften, toss the broccoli on top, drizzle with some soy sauce and cover. Let this cook for about 5 minutes covered. This will help brown the tofu sitting at the bottom of the pan and will also serve to steam the broccoli a bit. Uncover, add the juice of the second tangerine and more soy sauce and/or black pepper to taste. Add the mushrooms, and stir to combine. Keep everything moving a few more minutes until cooked through, and the serve quickly over the rice. Tofu isn’t for everyone. This recipe can obviously be easily adapted to use chicken, sliced pork tenderloin or beef instead of the tofu. In fact, that’s what I normally do, but I wanted to highlight a new option, and I wanted a little challenge working with a new ingredient. 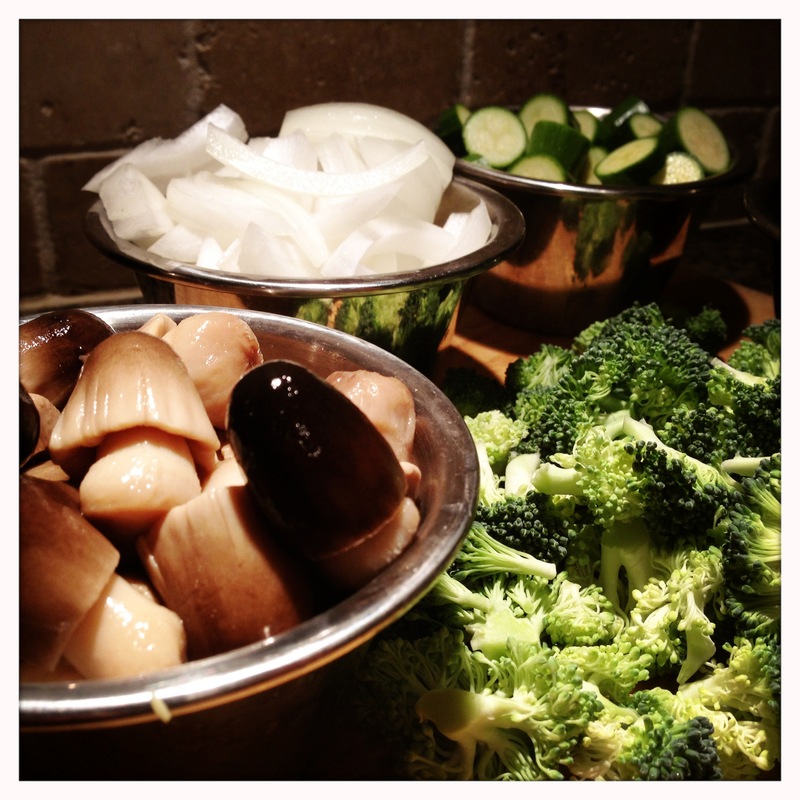 It’s nice to have a few vegetarian dishes in my arsenal when non-carnivorous friends are over for dinner. This can, of course, be made simply with veggies alone without any protein, as well. The combination of soy sauce and fresh squeezed tangerine juice is one of my favorite stir fry “sauces,” and it is very easy to do. You can spice it up a bit with some Thai chili paste or Sriracha as well. However you make it, this simple stir fry is a satisfying meal that can accommodate a wide range of ingredients and tastes. And, for the record, the little guy at Eats For All Ages ate every piece of tofu that was on his plate (even if he did call them “potatoes”). Enjoy!